The Board of Review consists of 6 residents of the Municipality. The Municipality Clerk functions as the Board of Review clerk. The Board of Review has the duty of reviewing evidence provided by both the Assessor and property owner in support of their opinions on the value of property and then ruling in favor of the best set of evidence and in compliance with the law. It is also the duty of the Board of Review to carefully examine the roll and correct all apparent errors in descriptions or computations, and to add any property to the roll that the assessor may have omitted. However, the Board of Review must notify the property owners concerned and hold hearings before omitted property can be added to the assessment roll and before any other lawful changes can be made. Once the Assessor has valued the property, posted these values on the assessment roll, and signed the affidavit attached to the assessment roll, the values must be accepted as correct unless the testimony of sworn witnesses and the evidence they present indicate otherwise. The Board of Review is responsible for raising and lowering any incorrect valuation as well as correcting any errors in the roll. It is important to note that the Board’s function is not one of the valuation, but of deciding the validity of the facts presented, under oath, before it. All deliberations must be done in open session and the Board of Review is required to decide each objection by a roll call vote. If the Board of Review votes to change an assessment, it must state on the record the amount of the correct assessment and that the correct assessment is reasonable in light of all relevant evidence received. Notices of the Board’s determinations are to be sent by certified mail to property owners as the Board completes its work. By law, the Board of Review must meet sometime in the 30 day period commencing on the 2nd Monday in May. If the Assessment Roll is not yet complete, the Board will adjourn to a date certain based on the anticipated completion date for the Assessment Roll and Open Book period. The Board meets in the Council Chambers. The Board must establish a time for hearing each properly filed objection. At least a 48 hour notice of the time of the hearing must be given to the objector or the objector’s agent and to the municipal attorney and Assessor. For an individual property owner who protests an assessment, the Board of Review is the first step in the appeal process. The property owner cannot pursue subsequent appeals allowed by law unless they have first appealed before the Board of Review. It is therefore very important that a property owner pay close attention to the information mailed to them with their Notice of Assessment change regarding the time stated for the Board of Review meeting and associated application and notification deadlines. Are there any Special Qualifications for Board of Review Members? When must I file the Written Objection to my property assessment? Can I exclude a board member from hearing my objection? Yes. A person objecting to their assessment can request the removal of any one Board member for any reason and can also request the removal of any Board member whom the objector believes harbors a personal bias or prejudice against them. A request to remove a Board of Review member must be made at the time the person provides their written or oral notice of intent to file an objection. This notice must be made at least 48 hours before the first scheduled meeting of the Board of Review or at least 48 hours before the objection is heard if the Board waived the 48 hour notice requirement. Furthermore, the notice must identify the member(s) to be removed, state the nature of the bias or prejudice, and estimate the length of time the objection hearing will take. Board of Review members may be removed for other reasons. A municipality must remove any member of a Board of Review who has a conflict of interest under an ordinance of the municipality in regard to the objection. What do I say to the Board at the time of my hearing? Assessment law establishes that the Assessor’s value is presumed correct unless the property owner provides compelling evidence that value is not correct. To have the assessment reduced, the owner must prove that the property is over assessed in comparison with similar property in the municipality. 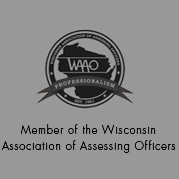 Wisconsin Statute 70.47(7)(ae) requires anyone planning to protest an assessment to provide the Board, in writing, their estimate of the total value of the property assessment they are objecting to and specific information that was used to arrive at that estimate. In particular, an objector should have considerable information that is relevant to the market value of their non-agricultural property. This would include a recent purchase price of the property and recent sales of comparable properties. Other factors include: size and location of the lot, size and age of the building, original cost, depreciation and obsolescence, zoning restrictions and income potential, presence or absence of various building components; and any other factors or conditions which affect the market value of the property. Remember that the Board’s sole responsibility is to review evidence regarding the value of the property. The Board will not discuss issues of property tax, municipal services, municipal employees or appointed or elected officials or any other subject that has no relationship to the value of the property. Can I appeal the Board of Review’s decision? Yes, there are two avenues of appeal of the Board of Review decision available to the property owner. One is to circuit court under Section 70.47(13) of the Wisconsin Statutes, and the other is to the Department of Revenue under Section 70.85. If a number of property owners feel that there are severe inequities in the entire assessment roll, they may appeal for a reassessment of the entire municipality under Section 70.75. How would I appeal a Board of Review decision under Section 70.47(13)? Section 70.47(13) provides for an appeal of a Board of Review determination to be by action of certiorari (a court order to review the written record of the hearing) to the circuit court. The court will not issue an order unless an appeal is made to the circuit court within 90 days after the taxpayer receives notification from the Board of Review. No new evidence may be submitted. The court decides the case solely on the basis of the written record made at the Board of Review. If the court finds any errors in the proceedings of the Board which make the assessment void, it sends the assessment back to the Board for further proceedings and retains jurisdiction of the matter until the Board has determined an assessment in accordance with the court’s order. Whenever the Board has made its final adjournment prior to the court’s decision, the court may order the municipality to reconvene the Board. What are the procedures for appealing a Board of Review decision under Section 70.85? When appealing a Board of Review decision under Section 70.85, a written complaint must be received by the Department of Revenue within 20 days after the taxpayer receives the Board’s determination, or within 30 days of the date specified in the affidavit under Section 70.47(12), if the taxpayer does not receive the notice. A filing fee of $100 must be submitted along with the complaint. Both real and personal property may be appealed under this section. The Department may not review the assessment if it is within 10% of the general level of assessment of all other property in the municipality, or if the property’s value exceeds $1,000,000 as determined by the Board of Review. The Department may revalue the property and equalize the assessment without the intervention of the Board of Review, if the revaluation can be accomplished before November 1 of the year in which the assessment is made or within 60 days of the receipt of the written complaint, whichever is later. The value, if adjusted by the Department, shall be substituted for the original value in the assessment and tax rolls and taxes computed and paid accordingly. Appeal of the Department’s decision can be made by an action for certiorari in the circuit court of the county in which the property is located. I did not file a Formal Objection Form. Can I still request a hearing before the Board of Review? Yes, if you have an extraordinary circumstance, you may attend the Board of Review, and request a waiver of the Formal Objection Form, providing evidence of your circumstances. The Board of Review may hear your objection. I refused the Assessor entry to my property. Can I file a Request for Review or Formal Objection? Property owners who fail to provide access to their property when contacted by the Assessor’s Office may lose their appeal rights. When the Assessor’s Office’s request for an inspection is refused, Open Book appointments for that year will not be available to the property owner. However, the property owner may request a review inspection for the next year at any time. No person shall be allowed to appear before the Board of Review, or to contest the amount of any assessment of real or personal property if they have refused a reasonable written request by certified mail from the Assessor to view the property, 70.47(7)(aa), WI statutes. From the evidence before it, the Board shall determine whether the Assessor’s valuation is correct. What is the most compelling evidence I can present to the Board of Review? An arms-length sale of the subject property or a comparison of your home to other comparable sales is the best evidence to support an opinion of value. Property owners may also present evidence that their property’s assessment isn’t equitable when compared to other similar properties’ assessments. What happens after I present my evidence? After you have presented your evidence and answered any questions, it is the Assessor’s turn to present evidence. The Assessor presents evidence to support the assessment and answers questions from the Board of Review members. You will also have an opportunity to ask the Assessor questions. When does the Board of Review make a ruling? In most cases, the Board of Review makes its rulings at the end of each individual hearing. Property owners will also be notified of the board’s determination in writing. What if I’m still not satisfied after Board of Review? The Municipality Clerk’s office will send you notice of the Board of Review’s decision regarding your assessed value. That notice will give you subsequent appeal options, an example of which would be an appeal to the Circuit Court. Can I protest my taxes at the time of payment? Unless your taxes are illegal in some respect and you are prepared to file a claim in circuit court for recovery of the unlawful tax, the “protest” has little value. The time for appealing your assessment has passed by the time the taxes are determined and tax bills have been mailed. Contact the Municipality Clerk to learn what further options are available to you. 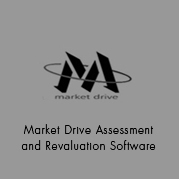 A revaluation is a municipality-wide complete and thorough review of all assessments. During a revaluation, the Assessor attempts to physically inspect all properties and review all assessments. Value adjustments are made where necessary to guarantee that all property is assessed at market value. This is done to assure that taxes are distributed equitable and uniformly. Why would a Revaluation be necessary? Beginning in 1986, the Department of Revenue (DOR) requires that all property be assessed at or near 100% of the fair market value. The DOR requires that the assessed value of a taxation district must be established within 10% of the full value at least once during the four year period consisting of the current year and the three preceding years. The law states that if taxation districts have not met this requirement the DOR will notify the taxation district in writing that they are not in compliance and give the district one year to meet market value (± 10%) requirement. A municipality-wide revaluation is usually then completed to meet that requirement. What is the difference between reassessment, revaluation and a supervised assessment? The term “reassessment,” as used in Section 70.75 of the statutes, means to completely redo the assessment roll. After receiving a petition, the Department of Revenue may order a reassessment of all or any part of the taxable property in a municipality, it its investigation determines that the assessments are not in compliance with the law. One or more persons would be appointed by the Department to prepare a new assessment roll. The assessment roll, after completion by the appointed person(s), is substituted for the original assessment roll. The municipality pays all expenses connected with a reassessment. A “revaluation” occurs when the Assessor completes a comprehensive review of all assessments to insure that they reflect current market value and that they are equitable within and between classes of property (residential, commercial, agricultural, etc.). A revaluation may also be completed in response to a Section 70.75 review, which then involves the hiring of expert help by a municipality to aid the Assessor in making new, equitable assessments. The previous year’s assessment roll is not affected. Under Section 70.055 of the statutes, the governing body of a municipality determines that it is in the public interest to employ expert help to aid in making a new assessment. The local Assessor is not relieved o any responsibility of the office under this type of revaluation. The expert help and the Assessor act together as an assessment board in exercising the powers and duties of the Assessor during the expert’s employment. A “supervised assessment” is an alternative to a reassessment. 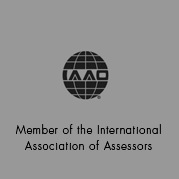 As provided in Section 70.75(3) of the statutes, one or more persons are appointed by the Department of Revenue to assist the Assessor in making the assessment for the following year. The Department supervises the assessment work. The municipality pays all costs involved in a supervised assessment. A supervised assessment is very similar to a revaluation under Section 70.055 in that new assessment records and assessed values are created. The previous year’s assessment roll is not affected. Revaluations are expensive. Are they really necessary? A complete revaluation of all taxable real and personal property within a municipality is periodically necessary. There may be several reasons for this: (1) state law requires that property assessments must be periodically recalculated so that at least once in every 5 year period the assessments are within 10% of true market value; (2) the current assessment may not have been made in substantial compliance with the law; (3) inequities may exist within classes of property; (4) inequities may exist between classes of property; (5) the governing body may desire an updating of records to show the physical characteristics of all its taxable real and personal property or (6) a governing body may desire an original inventory of all its taxable property. When inequities happen, some property owners are paying more than their fair share of the property taxes and some are paying less. A complete reassessment or revaluation may be the only remedy. Most property owners are willing to pay the expenses of a revaluation to be assured that all are paying their fair share of property taxes. Regardless of any equity issues, state law regarding the ratio of assessment to market value will generally require that a community revalue at least once every 5-7 years. How are the equalized values used? The equalized values are used by the taxing jurisdictions (i.e., school districts, counties, state, etc.) to apportion their tax levies (budgets) among municipalities. “Apportioning” is the process of dividing the tax levies for each taxing jurisdiction among all of the properties in the jurisdiction, based upon the total value of each district. A state levy, for example, would be apportioned among all of the properties in the state; an individual county’s levy among all of the properties in the county; and a school levy among all of the properties in the school district. Equalization is required to compensate for the fact that at any point in time, different municipal jurisdictions assessment ratios are not all at 100% of market value. Equalization adjusts all property values to 100% in order to equally distribute the overlying property taxes fairly to each property owner. Example: If the Municipality of Janesville’s assessment ratio is 89%, the Municipality of Beloit’s is 93% and village of Clinton’s is 77%, then the total value of each of those communities taxable property must be adjusted to 100% so that the County portion of the property tax is equally distributed. Otherwise, the portion of the county tax paid by each property owner would be unequally distributed. Does each municipality make its own property tax laws? No. Article VIII of the State Constitution requires that the taxation of property shall be uniform. Therefore, the state legislature enacts all the laws pertaining to property tax assessments and tax collection. Laws regarding exemptions for the general property tax are also exclusively determined by the state legislature. 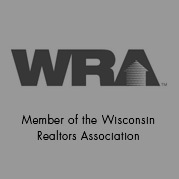 The state property tax assessment laws are covered in Chapter 70 of the Wisconsin Statutes. I’ve been told that everybody’s taxes go up after a revaluation. Is this true? No, it is not. If the total levy remains the same, only those properties that are not presently paying their fair share of the tax burden will pay more taxes after a revaluation. Properties presently paying more than their fair share will pay less. Once the Assessor creates the preliminary tax roll, it is submitted to the Municipality Clerk and “open for inspection.” This Open Book period is the time between the submittal of the preliminary tax roll and the formal Board of Review appeal hearing. It is used to allow property owners to review their assessment and meet with the Assessor and their staff if they have questions and want to exchange information about their property. Informal discussions with the Assessor can often resolve a problem and frequently eliminate the need for a formal hearing before the Board of Review. Why meet with the Municipality Assessment staff and how long does it take? An informal discussion with the Assessor can often resolve a problem and frequently eliminates the need for a formal hearing before the Board of Review. The informal meeting serves to answer questions about the assessment process and to verify that the factual information the Municipality has about your property is accurate. In general, it is not intended to be a negotiating session. The meeting will last between 15-30 minutes. Before making an appointment, please take time to review information you have received from the Assessor’s Office and the information you have about your property. Familiarize yourself with the assessment process as much as possible. In order to allow each property owner to participate in the informal process if they choose to, appointments are required and will be limited to 30 minutes. Each property owner is allowed one meeting so make sure you are prepared for your meeting. If you own multiple properties that you wish to discuss, you should inform the Assessor’s office of the number of properties you would like to cover when you call to arrange an appointment. Although you will still be limited to one meeting, the time allotted will be extended to accommodate the number of properties to be covered. Please be prepared to discuss each property. Other information: estimates for uncompleted repair or construction activities, receipts for completed repair or improvement projects, certified survey or plat maps delineating lot size and area, condemnation notice or orders to raze or repair, income and expense information and lease agreements (for income producing property), records of farm rents and crop production activities (for agricultural use valuation), or any other factual information that is relevant to the value of the property. The primary purpose for the meeting is to allow you to exchange factual information with the Assessment staff, confirm their data, and learn more about eh assessment process. The Appraiser involved in your meeting will not be reviewing the assessed value. That part of the process occurs following the conclusion of the meetings. You will be notified by mail in 4-5 weeks of the results of the completed property review. Following the receipt of the findings from your meeting with the Assessment staff, if you still believe the assessment is not an accurate estimate of value, you may proceed to the Board of Review to present evidence as such. You may learn more about the Board of Review at the following website: www.dor.state.wi.us or by obtaining a brochure from the Municipality Clerk’s Office (1-608-755-3070).